LOWEST PRICE! 4 Cores of Processing Power! Lion capable! Nicely updated and configured Mac Pro "Quad Core"! The Mac Pro "Quad Core" 2.66 is powered by two 2.66 GHz dual core Intel Xeon 5150 processors with 4 MB of shared level 2 cache per processor, a 128-bit SSE3 vector engine, and 1.33 GHz "64-bit dual independent frontside buses." We install a NEW High Speed 1 Terabyte HYBRID Hard Drive. With 2 GB of DDR2 SDRAM you can expect smooth computing. (Suggest 4GB for Lion) Easily add more hard drives using the four internal hard drive carriers of internal storage! We configure it with 2.0 GB of 667 MHz DDR2 ECC "fully-buffered" FB-DIMM memory (with a heatsink design that is a bit different from generic FB-DIMMs), used tested "SuperDrive", and a NVIDIA GeForce 7300 GT video card with 256 MB of GDDR2 SDRAM, one dual-link DVI port and one single-link DVI port. Expansion includes two external 5.25" "optical" bays (one occupied by default), four internal 3.5" "cable-free, direct attach" hard drive bays (three free by default), and four PCIe slots (three free with one graphics card installed). Ports include dual Gigabit Ethernet, five USB 2.0 ports, two Firewire "400" ports, two Firewire "800" ports, and optical digital audio in/out, among others. Snow Leopard preinstalled (software available extra) Mountain Lion capable optional call. We include a Macintosh compatible keyboard and Mouse as well as our OSX Super Sink DVD chock full of freeware and shareware. Add another another 2GB for $99 or 4GB for $145. This unit can hold up to 32 GB of RAM call for more options. Larger or more drives available with room for 3 more. We include a Macintosh compatible keyboard and Mouse as well as our OSX Super Sink DVD chock full of freeware and shareware. Was $899.77 SALE $499.77 and that includes domestic shipping. 4 Cores of Processing Power! Lion capable! Nicely updated and configured Mac Pro "Quad Core"! The Mac Pro "Quad Core" 3.0 is powered by two 3.0 GHz dual core Intel Xeon 5160 processors with 4 MB of shared level 2 cache per processor, a 128-bit SSE3 vector engine, and 1.33 GHz "64-bit dual independent frontside buses." We install a NEW High Speed 1 Terabyte HYBRID Hard Drive. With 2 GB of DDR2 SDRAM you can expect smooth computing. (Suggest 4GB for Lion) Easily add more hard drives using the four internal hard drive carriers of internal storage! We configure it with 2.0 GB of 667 MHz DDR2 ECC "fully-buffered" FB-DIMM memory (with a heatsink design that is a bit different from generic FB-DIMMs), used tested "SuperDrive", and a NVIDIA GeForce 7300 GT video card with 256 MB of GDDR2 SDRAM, one dual-link DVI port and one single-link DVI port. Expansion includes two external 5.25" "optical" bays (one occupied by default), four internal 3.5" "cable-free, direct attach" hard drive bays (three free by default), and four PCIe slots (three free with one graphics card installed). Ports include dual Gigabit Ethernet, five USB 2.0 ports, two Firewire "400" ports, two Firewire "800" ports, and optical digital audio in/out, among others. Snow Leopard preinstalled (software available extra) Lion capable optional call. We include a Macintosh compatible keyboard and Mouse as well as our OSX Super Sink DVD chock full of freeware and shareware. Add another another 2GB for $99 or 4GB for $145. This unit can hold up to 32 GB of RAM call for more options. Larger or more drives available with room for 3 more. We include a Macintosh compatible keyboard and Mouse as well as our OSX Super Sink DVD chock full of freeware and shareware. OUR SALE PRICE $599.77 and that includes domestic shipping. Apple Mac Pro Xeon Quad-Core W3540 2.93 GHz, 16GB RAM, NEW 1TB Hybrid SSHD, DVD±RW DL DVD Burning SuperDrive, Radeon HD 4870 Graphics, Bluetooth, Airport Wireless, Keyboard & Mouse. Nicely configured with 4 Cores of Processing Power! El Capitan 10.11 capable! 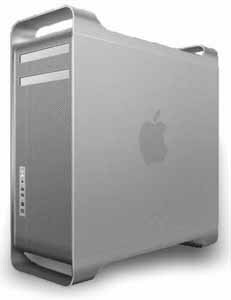 Nicely updated and configured Mac Pro "Quad Core" 2.93 (Early 2009/Nehalem) is powered by one 2.93 GHz Quad Core 45-nm Xeon W3540 (Nehalem) processor with a dedicated 256k of level 2 cache for each core and 8 MB of "fully shared" level 3 cache. We install a NEW Seagate 1 Terabyte Hybrid Hard Drive. With 16 GB of DDR2 SDRAM you can expect smooth computing. Easily add more hard drives using the four internal hard drive carriers of internal storage (one in use)! This Mac Pro Tower comes with a ATI Radeon HD 4870 graphics card with one DVI-I connector and one Mini Displayport connector. Ports include five USB 2.0 ports, four Firewire "800" ports, dual Gigabit Ethernet, and both a Mini DisplayPort and a dual-link DVI port, among others. Bluetooth 2.1+EDR is standard, AirPort Extreme (802.11g/n). Use the stock SuperDrive DVD±RW DL drive to access CD and DVD media, backup data, and burn CDs and DVDs. Connect to a high speed network via two independent 1000BASE-T Ethernet ports! Snow Leopard preinstalled (software available extra) Up to El Capitan capable optional call. We include a Macintosh compatible keyboard and Mouse as well as our OSX Super Sink DVD chock full of freeware and shareware. Larger or more drives available with room for 3 more. Our $949.77 price includes domestic shipping, this is a one only item order now. 4 Cores of Processing Power! El Capitan 10.11 capable! Nicely updated and configured Mac Pro "Quad Core" 2.8 (Early 2008) is powered by one 2.8 GHz Quad Core 45-nm Intel Xeon E5462 (Harpertown/Penryn) processor with 12 MB of level 2 cache (each pair of cores shares 6 MB), a 128-bit SSE4 SIMD vector engine, and a 1.6 GHz 64-bit independent frontside bus. We install a NEW Full Speed 1 Terabyte Hybrid Hard Drive. With 2 GB of DDR2 SDRAM you can expect smooth computing. (Suggest 4GB for Lion up) Easily add more hard drives using the four internal hard drive carriers of internal storage! This Mac Pro Tower comes with a Radeon HD 2600 XT graphics card with two DVI-I connectors so you can add multiple monitors. Lots of connectivity options with front and rear panel USB 2.0 ports, FireWire 400 and FireWire 800 ports. Use the stock SuperDrive DVD±RW DL drive to access CD and DVD media, backup data, and burn CDs and DVDs. Connect to a high speed network via two independent 1000BASE-T Ethernet ports! Snow Leopard preinstalled (software available extra) El Capitan capable optional call. We include a Macintosh compatible keyboard and Mouse as well as our OSX Super Sink DVD chock full of freeware and shareware. Add another another 2GB for $99 or 4GB for $145. This unit can hold up to 32 GB of RAM call for more options. Larger or more drives available with room for 3 more. Was $1299 NOW $899.77 price includes domestic shipping. 8 Cores of Processing Power! El Capitan 10.11 capable! Nicely updated and configured Mac Pro "Eight Core" 3.0 (Early 2008) is powered by two 3.0 GHz Quad Core 45-nm Intel Xeon E5472 (Harpertown/Penryn) processors with 12 MB of level 2 cache per processor (each pair of cores shares 6 MB), a 128-bit SSE4 SIMD vector engine, and 1.6 GHz "64-bit dual independent frontside buses. We install a NEW Full Speed 1 Terabyte Hybrid Hard Drive. Configured with 2 GB of 800 MHz DDR2 EEC "fully-buffered" FB-DIMM memory. (Suggest 4GB for Lion up) Easily add more hard drives using the four internal hard drive carriers of internal storage! This Mac Pro Tower comes with a Radeon HD 2600 XT graphics card with two DVI-I connectors so you can add multiple monitors. Lots of connectivity options with front and rear panel USB 2.0 ports, FireWire 400 and FireWire 800 ports. Use the stock SuperDrive DVD±RW DL drive to access CD and DVD media, backup data, and burn CDs and DVDs. Connect to a high speed network via two independent 1000BASE-T Ethernet ports! Snow Leopard preinstalled (software available extra) El Capitan capable optional call. We include a Macintosh compatible keyboard and Mouse as well as our OSX Super Sink DVD chock full of freeware and shareware. Add another another 2GB for $99 or 4GB for $145. This unit can hold up to 32 GB of RAM call for more options. Larger or more drives available with room for 3 more. Was $1499 NOW $999.77 price includes domestic shipping. 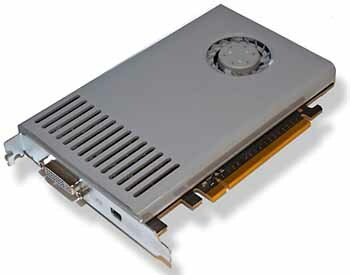 Upgrade your Mac Pro Tower with this Apple Video Card NVIDIA GeForce GT 120 512MB for Mac Pro 2008 & 2009 Mini DisplayPort & dual-link DVI ports. Works with Mac Pro (Early 2008), Mac Pro (Early 2009), Mac Pro 3,1 Mac Pro 4,1. Uses PCI Express 2.0 interface. DVI and MiniDisplay out, Adapters available to connect to VGA displays. Refurbished, tested. Requires Mac OS 10.5.6 or later. Our $189.77 price includes domestic shipping.